With 11-foot ceilings, exposed brick walls, piles of hardcover books and views of chimneys and water towers, Arnold Warwick’s apartment is a 1,200-square-foot monument to the Greenwich Village of our fantasies. And at $331.76 a month, it might be one of the very best deals in New York City. In New York, there is no shame in handing over thousands of dollars a month to live in somebody’s basement or crawl space. This unfortunate hiccup in the magic of the city makes the 16,000 remaining rent-controlled units in Manhattan mouthwatering in almost any context. Cheaper apartments than the ones above the Cherry Lane do exist in the five boroughs, and a few of them even rent for less than three figures. But Mr. Warwick’s apartment, which has four small bedrooms built up around a wide-open living room, isn’t just cheap. It is also a fabulous apartment. A two-bedroom apartment in that area rents for an average of $4,745 per month, according to the brokerage firm Citi Habitats. And just down the block, at 17 Commerce Street, a 2,200-square-foot federal-style town house is currently for sale for $4.975 million. Yet in Mr. Warwick’s apartment, where he raised three children with his wife, Jane, who died in 2010, you can still catch a whiff of the neighborhood’s arty past, long since subsumed by financiers and millionaires. It wafts up the stairs from the theater below. The Cherry Lane was founded in 1924, in a building originally constructed as a brewery almost 90 years earlier. Today, it holds two stages that stretch between two connected buildings, 38 Commerce and 40-42 Commerce. The apartments are stacked in the floors above, and tenants are sometimes treated to a visceral reminder of what lies below. Ms. Fiordellisi bought the eight apartments on Commerce Street, with their rambling spaces and slanted floors, because they came with the theater, not because she had a hankering to be a landlord. The apartments bring in about $65,000 in rent a year, she said, and between property taxes and the cost of heat, water, maintenance and management, they just barely break even. Early in her tenure, Ms. Fiordellisi took possession of two apartments. One was being sublet illegally and the other was not the tenant’s primary residence, she said. But she has also cut her tenants some breaks. Ms. Campbell and her husband, Adam Rosen, do not have a rent-regulated unit, but they pay only $2,500 for a glorious three-bedroom — its elegant design and hip details recall a cheery romantic movie about things that don’t really happen. The reason for their bargain is not blackmail but sentiment. Mr. Rosen’s grandmother Kim Hunter, a founding member of the Actors Studio and an Oscar winner for her portrayal of Stella Kowalski in “A Streetcar Named Desire,” lived in that apartment for about 50 years. When she died of a heart attack in 2002 — in the apartment — her children asked Ms. Fiordellisi if they could keep the place in the family. She said yes, and they agreed on a rent that the couple, with their young son, could afford. 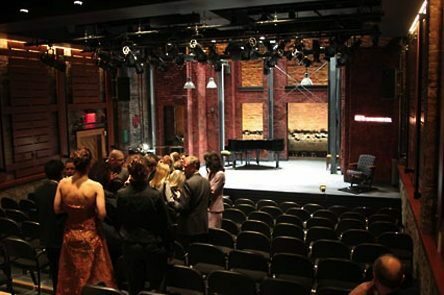 During the recession, the theater faced a steep decline in foundation support and ticket sales, and serious financial difficulties were staring it in the face. Ms. Fiordellisi almost sold it. 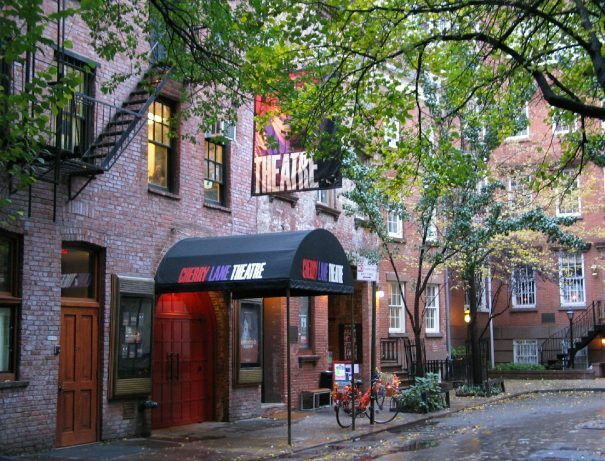 But the Cherry Lane has since streamlined its operating costs and built up a robust rental business in its theater space, and it has paid off 80 percent of the $250,000 debt that once threatened to shut it down. So Ms. Fiordellisi’s tenants and her theater will continue to be roomies, as she cheerfully shoulders some of the best deals around. But there are some who do not share her sunny view of those bargains. “I’ve had people actually get angry with me,” said one of Mr. Warwick’s neighbors, who declined to be identified by name and risk being chastised by strangers. She took over a rent-controlled lease from her parents, and she would not specify what she paid, except to say that it is under $400 a month. “I’m an inheritor,” the tenant said recently by telephone, a slight quiver in her voice. “It’s not a very popular position these days.” And then, very politely, she ended the call.